Smith's first mountain bike specific goggle, the iconic Squad MTB, provides you with crystal-clear vision, maximum ventilation, excellent fit and the helmet integration that you'd expect from Smith. They include tear-off/roll-off posts, and 3-layer foam sweat management. The Squad MTB includes a clear lens. The cylindrical, ultra-durable carbonic-x lenses are massive for a large field of view. I rely on my eyes to make a living and recently I had a small bug nail me in the eye while riding down a fire road and then the next week a pebble hit me in the face right next to my eye. In both cases, I was wearing my glasses which clearly offer little protection. I decided that I better do something before I have a career-ending injury. 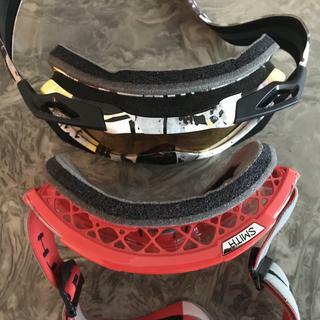 I researched MTB goggles and it seemed like a lot of pro enduro riders liked the Smith googles so I went with them and found a great deal at Jenson. I wear thin, titanium-arm glasses and not only do they fit comfortably with the goggles on (even on long rides), but the glasses now stay in place better. The best thing, however, has been the end of my problem with watery eyes and the associated runny nose and constant sniffles. I have had no problems with lens fogging going up hills either. Actually, I just leave the goggles on for the whole ride. I did try buying the prescription inserts, to use instead of my glasses, but they flexed too much and it caused a fisheye distortion that made the trail seem further away, so I just went back to my regular glasses and I’m very happy. The giggle strap is a wide, soft, adjustable elastic that fits well under a helmet or over it. I like the fit with the strap over the back of the helmet and it’s not too tight. I’ve had no issues with the strap sliding off either. I would highly recommend goggles for any MTB riding and I would also recommend the Smith goggles which are very comfortable and high quality. needed clear lenses for riding in the dark. they are well-ventilated and did not fog up when i stopped for a breather. if i could change one thing, i'd make them a bit wider because my peripherals were somewhat obscured. I bought these goggles because of the extremely incredible sale. Riding with them was like riding without eye wear, less the watering eyes. 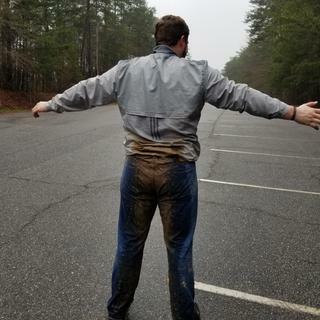 They never fogged up on me, and the only time that sweat was an issue was when I had a mechanical and laid them and my helmet down in a way that caused the sweat to flow over the main line of sight. Operator error, not due to the goggles. You can't clean them while they're wet though, read the instructions. My favorite Goggles hands down. I own a few sets. This one is awesome, it does not squeeze my nose like other ones I tried. does not fog up, comfortable. SMITH Goggles did the job for me. 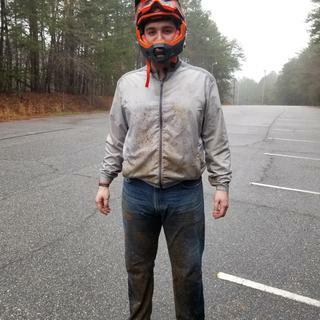 Held up great during my ride thru the mud and rain on one of my local trails in SC. My first pair (pair?) of mtb googles. I thought they’d be overkill. I was wrong. Also, they simply won’t EVER fall off your face. EVER. What are you waiting for? Get them all ready! Just be sure that your helmet visor rotates up high enough for when you wish to take them off without removing them entirely from your helmet. Haven't ridden them yet, but lenses are beaut and venting looks great. Basic goggles that work just fine for the price paid. Foam and grippy strap makes for an excellent experience. Great pair of goggles for the price. 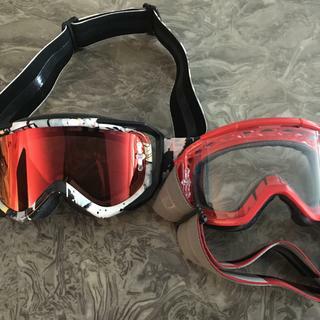 I find them a little narrow for wider faces and suggest everyone also consider Smith’s fuel V2 goggles (with chromapop and an extra clear lenses included) for not much more money than these. Not Jim the Runner, that's for sure. Overall super happy. However on a rainy cold day, they did fog up on me..
BEST ANSWER: These fit nicely over my glasses, but it’s snug so my glasses come with the goggles sometimes as I’m taking the goggles off. I’ve become pretty good at putting my glasses back on with one hand. I dont think so . Mine fit pretty tight on my face . I'm pretty sure you would have a hard time with glasses underneath the googles. Yes they fit over glasses. That is why I wanted clear lenses. Do these come with two lenses?